What is SUPER DRAGON BALL HEROES WORLD MISSION? The series started in 2012, beginning with the Nintendo 3DS. Since then, three games were developed on the platform – all of them exclusively released in Japan. A fun and easy to learn – yet difficult to master – card game is at the center of the game's core mechanics. The goal is to collect as many cards as possible and build the ultimate deck to save the world. 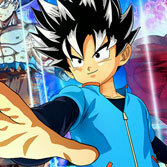 SUPER DRAGON BALL HEROES WORLD MISSION is a title that both fans of the series and card game fanatics can enjoy. In SUPER DRAGON BALL HEROES WORLD MISSION, you play as Beat – a boy who wants to be the greatest hero ever. 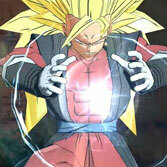 Over one thousand cards are available in the game, featuring 350 characters from the Dragon Ball universe. You can expect to see your favorite characters from DRAGON BALL Super, DRAGON BALL GT, and even from our beloved DRAGON BALL Xenoverse 2. 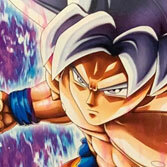 The game is a must-have for fans of Goku's epic saga! Hero: Balanced fighters that are easy to use, making them perfect for beginners. Elite: Fighters that focus on Ki Blast attacks to reduce the opponent's stamina. Berserker: Damage-oriented fighters with high power, but more susceptible to stun. After selecting your squad, this will trigger the Charge Impact Battle. If you stop the meter with more energy than your opponent while attacking, your team will deal extra damage. If you win while defending, your team will block the attack. If you time the meter perfectly, you’ll be able to unleash a co-op attack with the same card type and rack up Hero Energy to spend on Special Attacks. Your cards have different abilities such as Attack, Support, Link, and Auto. 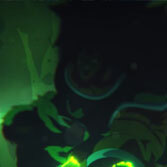 Link attacks are activated when two support and two attack cards are lined up vertically. Auto attacks have different requirements for each card. Their position in the field is important to trigger certain skills. These skills play a huge part in strategy, so make sure to pay close attention when they appear on-screen and what their effects are in battle. Accessories are used to enhance your cards. These can be bought using Zeni (in-game currency). These are some basics to begin your journey in SUPER DRAGON BALL HEROES WORLD MISSION. To win the battles, you must deplete the enemy's HP or have more HP when the five rounds are over. Collect more cards to build the ultimate deck! Play the Gatcha machine to get more cards. Gatcha tickets can be bought with Zeni which can be obtained through the different game modes. SUPER DRAGON BALL HEROES WORLD MISSION brings an exciting new feature that allows you to create your own customized cards. With a robust design tool, there's endless possibilities of card customization – add characters, apply unique backgrounds, select abilities, and much more! Use your custom deck to battle against enemies or other players. SUPER DRAGON BALL HEROES WORLD MISSION will be available on April 5th, 2019. Pre-order now for Nintendo Switch and STEAM® before it's too late! Also the English launch trailer has been released. You can watch the video below. Find more information about the game in our Dragon Ball Video Games Encyclopedia.